Director John Pirozzi’s remarkable new film, “Don’t Think I’ve Forgotten: Cambodia’s Lost Rock and Roll,” begins with what should be a joyous declaration. “When we were young, we loved being modern,” we hear a woman say in a solemn voice-over. “I was a singer,” she adds, as an old photo reveals her younger self in a minidress and white knee-high boots straight out of Nancy Sinatra’s closet. She is smiling, one hand on a hip, the other clutching a necklace. The ominous tone of her words suggests that this is not a story with a happy ending. Over the next hour and 45 minutes, the documentary illuminates an important era of Cambodia’s history largely unknown to those outside the country. Pirozzi chronicles its vibrant rock ’n’ roll scene, and by extension its youth culture, in the 1960s and how it was snuffed out when the Khmer Rouge’s brutal regime took hold from 1975 till ’79. To celebrate its release, starting on Friday “Don’t Think I’ve Forgotten” will screen for a week at Showcase Cinemas Lowell, including Q&A sessions with the director on Saturday and Sunday. Also on Sunday, a live performance by some of the film’s featured musicians will be held at Sompao Meas Hall in Lowell. It was a labor of love that spanned nearly a decade. Pirozzi first visited Cambodia in 2001 while working on the Matt Dillon film “City of Ghosts.” Later, a friend sent him a copy of the compilation “Cambodian Rocks,” which fueled his interest in making a film that explored the country’s harrowing past. He realized he could tell the story through its music and started with just three artists’ names, but knew little beyond that. As the project grew, the Cambodian community rallied behind it, and gave Pirozzi access to numerous anecdotes and interviews conducted in Khmer, English, and French. The film also has a direct connection to this area. Sovannet Nate Hun, its music researcher and one of its associate producers, is a Cambodian-American who lives in Lowell, which has one of the country’s largest Cambodian populations. Sovannet was instrumental in curating the soundtrack, which the Dust-to-Digital label will release on May 12. Pirozzi relied on Sovannet’s expertise and drew from his personal collection of Cambodian music, which he estimates includes around 100 vinyl LPs. Before the Khmer Rouge’s occupation, Cambodia was starting to bloom, embracing its independence from France in 1953 and wide open to what was, briefly, a bright future. 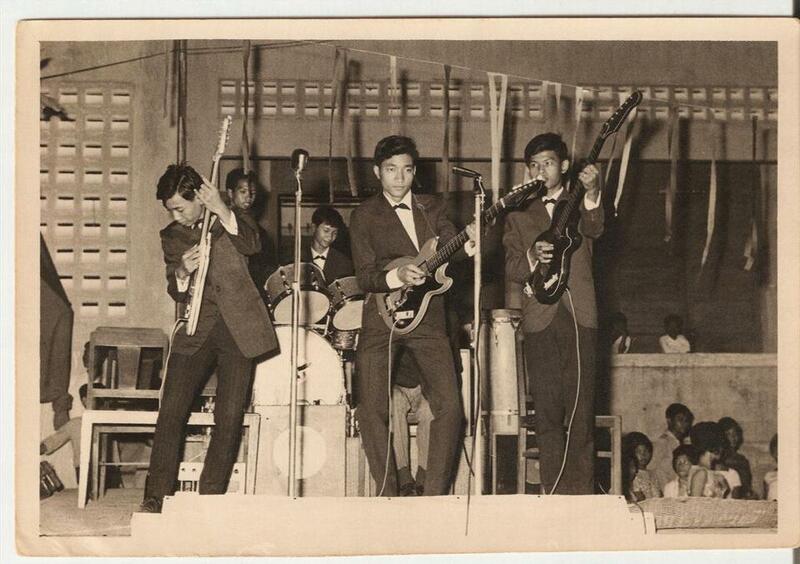 Its ruler, Prince Norodom Sihanouk, was a great admirer and champion of the arts; he dabbled in music himself. By the end of the film, we learn that so many of its leading lights were killed during the regime. At least that was presumed, since no one was certain of what happened to people who disappeared. The joy of a film like “Don’t Think I’ve Forgotten” — along the lines of recent music docs such as “Searching for Sugarman” and “20 Feet From Stardom” — is that the story is universal. The details are specific to a time, place, and a particular set of people, but the message is unmistakable: Art, and in this case pop music, is the great equalizer. It’s balm for the spirit and can make even the most tremendous tragedy more bearable. The movie is also easy on the eyes. We see and hear Cambodian singers — such as the majestic vocalists Sinn Sisamouth and Ros Serey Sothea, the heavy-rock band Drakkar, and the free-spirited troubadour Yol Aularong — shimmying in saturated Technicolor, one pelvic thrust and ear-to-ear smile after another. Soaking up the sounds coming out of the United Kingdom, France, and the United States, they then made the styles their own with traditional instrumentation and lyrics in their native tongue. The footage is a revelation considering Pirozzi was told early on that it likely didn’t exist. The Khmer Rouge summarily destroyed anything having to do with arts and culture, including its practitioners. Nearly 2 million people were killed. Denying your proud history often meant survival: Sieng Vanthy, the same singer whose voice opens the film, recalls telling the authorities she was a banana seller. Mol Kagnol, who’s saluted in the film for his role in forming Cambodia’s first guitar rock band, Baksey Cham Krong, is among the musicians strapping on a guitar again for Sunday’s concert in Lowell. He is astonished that this chapter of his homeland’s history has been told in such rich detail. He left for the US in 1975 and insists that’s why he’s still alive. Pirozzi says the film has evoked visceral reactions from not just Cambodians, but others coming to the story cold. He’s proud that the first public screening took place in Phnom Penh, the Cambodian capital where much of the film is set, and he’s heartened that it has been educational as well as entertaining.